http://www.vladtv.com - "American Boy" singer Estelle sat down for a chat with VladTV and spoke briefly about her London upbringing and the differences between being black in the UK vs. being black in the US. Estelle says she grew up in West London in an area she equates to being the "Harlem" of city. Her mother is African and her father is West Indian, which she says is a unique mixture but not where she's from. When it comes to living in the US today, Estelle says it's not that different from where she lived in London, saying the hood is the hood, and black is black wherever you go. 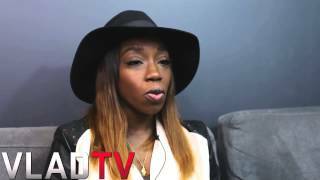 Estelle on Difference Between Blackness in UK vs. USA LyME LyTE TV | If you're not in the LyTE, you're in the dark! Another You Match The Description Stop: Guy Records Cops Allegedly Lying & Illegaly Searching His Car Threatening To Take His Kid! Sep 14, 2006 · Estelle's first music video directed by Andy Hylton.